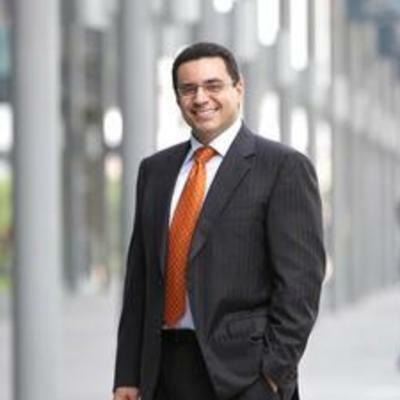 Hisham is the CEO of Grant Thornton in the United Arab Emirates, as a dynamic leader who has a professional and academic footprint in the United States, United Kingdom and across the Middle East region, he is known to be the driving force behind many private and public organisations growth strategies. With over eighteen years of professional and commercial experience he has led high profile advisory engagements for some of the largest groups in the region. Hisham is known as a key influencer in the UAE working closely with regulators and privately held businesses. Hisham also advises numerous financial institutions in the UAE in relation to regulatory and compliance matters. He has also supported many firms in dispute resolution and has acted as an expert witness on a number of arbitration cases across industry, in particular Hospitality, Real Estate and Construction, Aviation and FMCG. He sits on various boards including a renowned regional investment firm, and on the investment committee of the 30% Club, GCC Chapter. Hisham is a patron and avid mentor working closely with REACH to mentor dynamic women in business. He is also a mentor and panelist with Endeavour, a global not for profit organisation who support multi-million dollar SMEs. He actively supports the young leaders of tomorrow through various initiatives including working with the government sector to support Emiratization and develop UAE Nationals.